I was cleaning out our freezer a few weeks ago and discovered a giant ziplock bag filled with blueberries I had frozen last summer and completely forgotten about. I don't remember what I had the intention of doing with them at the time, but last week, muffins sounded like a good idea. And since blueberries and lemons are a great pairing, I threw some lemon into the mix as well. 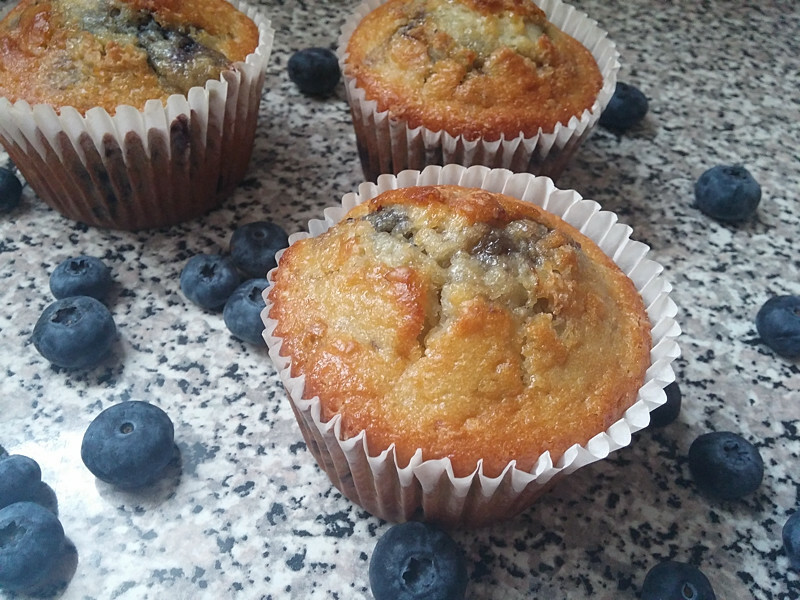 Can't go wrong with lemon blueberry muffins for breakfast! Shawn was particularly happy because he has been asking me to make muffins for a while. 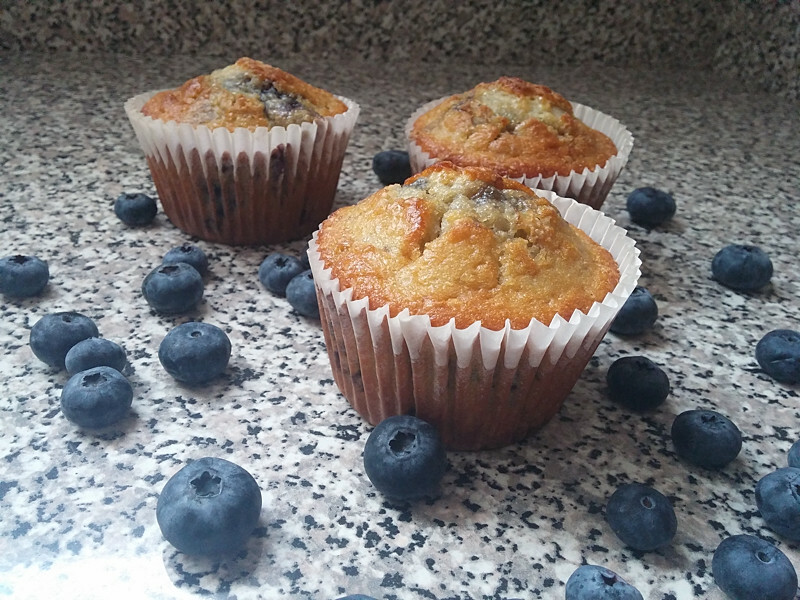 He doesn't like bananas, so my favorite muffins don't work for him. Unfortunately, when I went to find my go-to basic muffin recipe, I could not find my recipe binder anywhere! Shawn and I looked around the apartment for a half hour or so, until we eventually gave up. I'm definitely bummed because that binder has all of my recipes in it. Yep, every single recipe that I have been making for the last 7 years or so. And I really have no idea where it could possibly have run off to. Last I remember, it was sitting on the bookcase next to some cookbooks, and now it's no longer there. Perhaps this is a chance to start fresh? But man, there were some really damn good recipes in there! And I definitely don't remember them all from memory. - Preheat the oven to 500 degrees. Line a muffin pan with paper liners. - In a large bowl, combine the flour, sugar, salt, and baking powder. In a small bowl or pitcher, combine the milk, oil, and eggs. Whisk until completely combined. - Stir the blueberries in the dry ingredients until they're fully coated. Then fold the wet ingredients into the dry ingredients, making sure not to over mix! You may see a few bubbles of flour, but that's okay; over mixing the batter will lead to tough muffins. - Use a spoon or a large scoop to fill the muffin liners 3/4 full. Sprinkle about a teaspoon of turbinado sugar* atop each muffin. Lower the temperature of the oven to 400 degrees** and bake the muffins until golden brown on top, about 15 - 20 minutes. - Let cool completely. Enjoy! 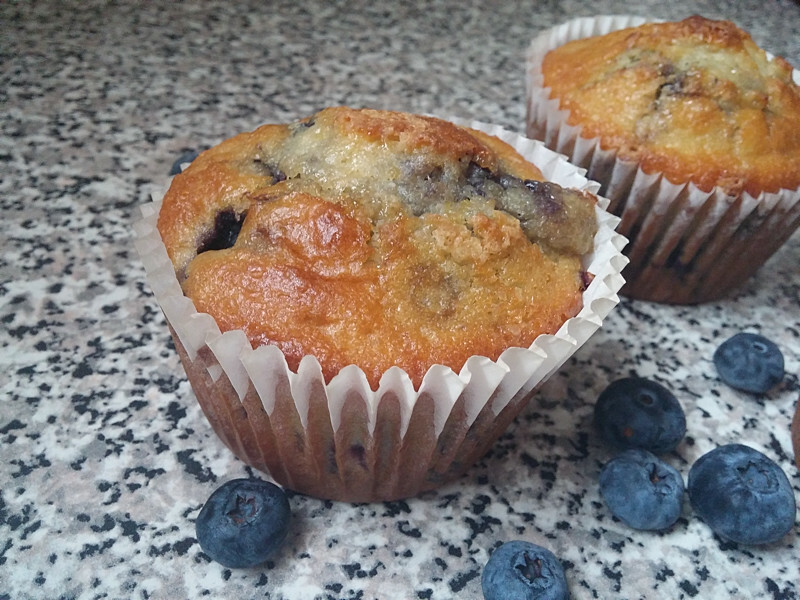 * The turbinado sugar helps give the muffins a nice crunchy top. You can skip this step if you don't want the extra crunch! ** Baking the muffins at such a high temperature may seem odd at first, (it did to me) but it's the heat that activates the baking powder and gives the muffins that beautiful domed top that you want!